Factory style 1 piece Top with Heated / Defroster Glass window. Made as original with No Deck Seams and No Binding. Glass Heat-sealed into top, Original style Brackets mounted on glass to attach to OE control arms that connect to frame. 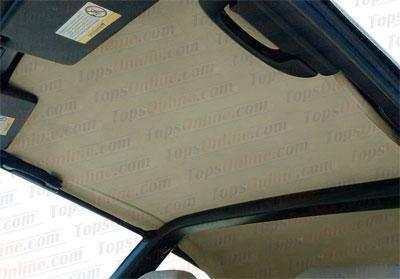 This convertible top for the Volkswagen Cabrio & Golf 3 fits the Late 2001 and 2002 model years without Rubber seal around the rear window. 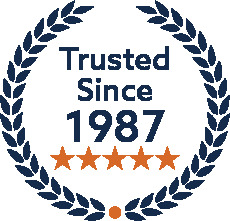 Warranty Info: EZ ON & Robbins brands come with 6-year warranty for the Top & Lifetime Glass Window Bond warranty to the original purchaser, and includes (18) months labor allowance from purchase date. Xtreme brand comes with 3-year warranty for the Top & Glass Window Bond from purchase date to the original purchaser and includes No labor allowance (replacement only). You can read detailed warranty information on our warranty page. 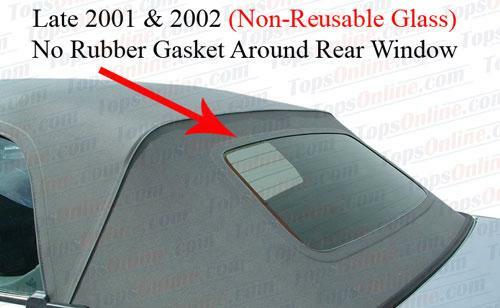 This Top fits cars without Rubber Gasket around the rear window as shown in picture below. If your car has Rubber Gasket around the rear window, go to 95-01 model page. Tops are not interchangeable. Top fits both Left & Right hand drive models. Sunfast Twill Cloth is exclusive material for Xtreme brand, heavy weight solution dyed Polyester Twill weave outer fabric laminated to a 100% Black Polyester backing. Factory style replacement Convertible Top Headliner. Made with factory style Cloth material. You can keep your existing Headliner if it is in good shape. This Volkswagen Convertible Top Installation video provides detailed instructions on how to install your Volkswagen Convertible Top. 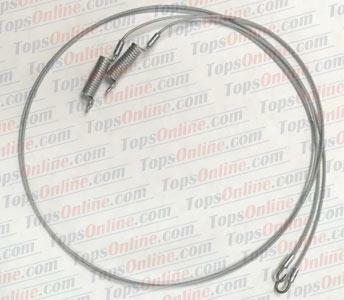 It is produced by a 3rd party and offered through TopsOnline for our customers, in DVD format. If you are purchasing a convertible top from this page, you will have the option to purchase this DVD at a discounted rate with your convertible top purchase.